Ulysse “Joe” Gayneaux, Jr. was born June 12, 1925 to the parents of Ulysse, Sr. and Vernice of Rice Cove. Born and raised in Henry in the heart of Cajun country, he has three great interests in his life: family, horses, and Cajun music. At the age of 19, he married Simonia Gayneaux who encouraged him in his music and horse training. Together, they had three sons – Kiefferd, Kenneth and Kelly. The boys were also taught to play music and ride horses. “Joe” and Simonia were also blessed with 7 grandchildren, 2 step-grandchildren, and 8 great-grandchildren. Thus, the Cajun culture, with a focus on the love of Cajun music and horses, continues to thrive in the Gayneaux family. Gayneaux’s love of horses started very early. At the age of 12, neighbors began bringing their horses to “Joe” to see if he could tame them in order for their children to ride. He soon learned he had a great affinity for horse training. This began a long and successful career “breaking” and training horses. 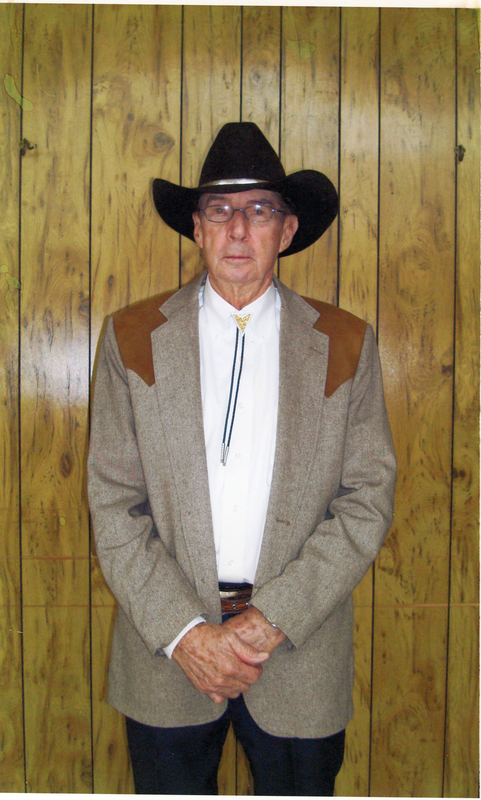 In the mid 1960s, “Joe” was one of the men influential in helping Vermilion Parish Sheriff “Jack “Moss build the first Sheriff’s Posse in Vermilion Parish. The love of Cajun music also began very early for “Joe.” His father and uncles were the only ones in their small community who could play music. The love of horses provided “Joe” and his family with some income; nevertheless, the love of Cajun music provided their soul with joy. For 30 years, he played the fiddle and accordion with various bands. In 1997, he started his own band and for the next 5 years played in Louisiana, Texas and Oklahoma promoting Cajun music and the Cajun way of life. Even though some say 86 is old, “Joe” says as long as you have a song in your heart you will never be old.